I have been itching to get into the garden. I love gardening. Getting into the garden is peaceful, great exercise, results in beautiful flowers and it also provides us with delicious food. But, we can’t get into the garden without starting seeds first. 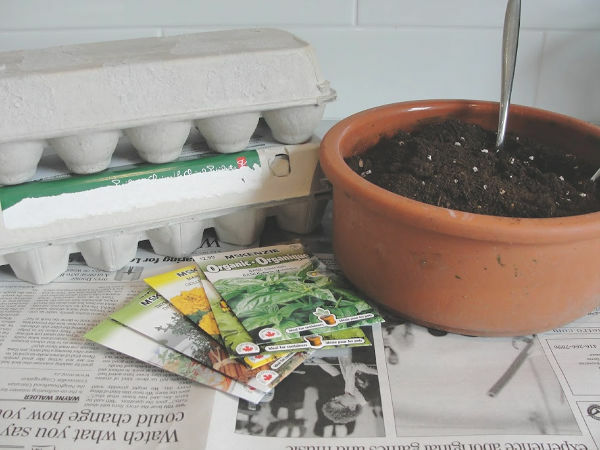 I’ve always loved sharing my tips for growing an awesome home garden and this clever use of egg cartons is a great place to start in spring. We have a large flower garden in the front yard. The front yard is filled with native perennial flowers and grasses. Our back yard is quite tiny…as most city yards are. We have a couple of flower garden beds and a small vegetable and herb garden. I try and plant as many vegetables that will be successful and interesting for my daughters to grow. Last year our zucchini plant was amazing…but a little too large for our limited space. Other favourites are swiss chard, cherry tomatoes, lettuces and peas. My herb garden is always awesome. We get just the right amount of sunlight to produce some gigantic plants. 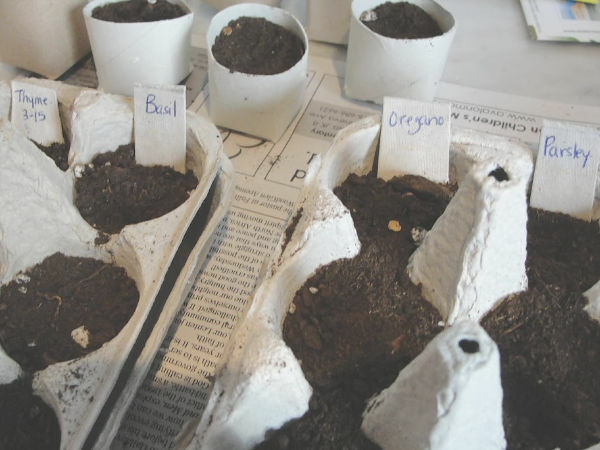 We have always wanted to try growing plants from seeds. Not only is it economical, but it is educational. This year I decided to give it a try. I decided to start with some sure fire winners, herbs and marigolds. I always plant marigolds along the perimiter of my veggie garden. My mom told me that marigolds keep pests out of the vegetable garden…and I believe her! I headed to the store and selected; thyme, oregano, basil, parsley and marigolds. 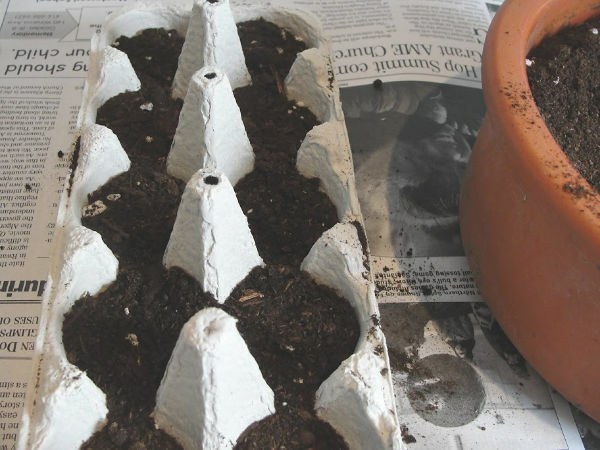 The other key component to growing seeds is selecting what you will grow your seeds in. There are a lot of different options on the market. They include small peat pellets that swell with water and various tray options. 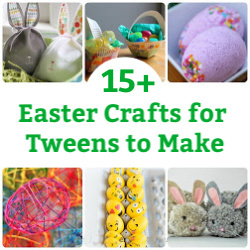 I have decided to use cardboard egg cartons and cardboard toilet paper rolls. Here’s how we did it. First, take apart the egg carton. 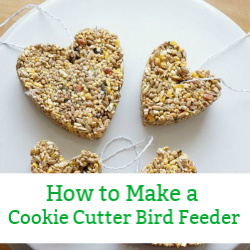 Using the scissors, cut the lid away from the base of the egg carton – set the lid aside. 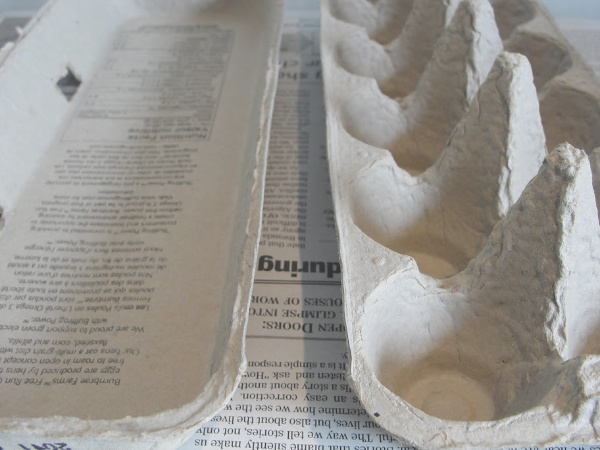 Next, turn the egg carton over and using the knife, poke a small drainage hole in the bottom of each section of the egg carton. Now, fill each section of the egg carton with the seed starting soil. It is important to use proper seed starting soil, as it will have the proper balance of nutrients to help speed germination along. 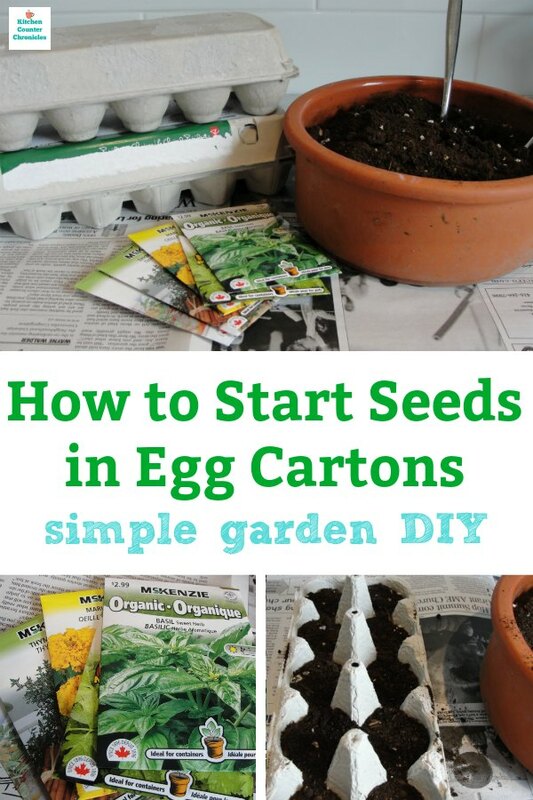 Working with one type of a seed at a time drop the seeds (according to the package directions) into each section of the egg carton. Repeat the process with all the seeds. I chose to put one type of seed to each row of the egg carton. 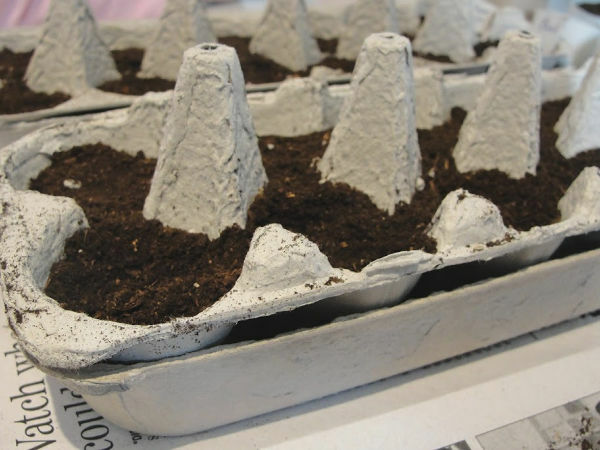 Now, place the dirt filled egg carton into the lid – the lid will now act as a tray and collect any excess water. Lightly water the seeds. Use a water mister, if you happen to have one. If not, simply use a watering can. 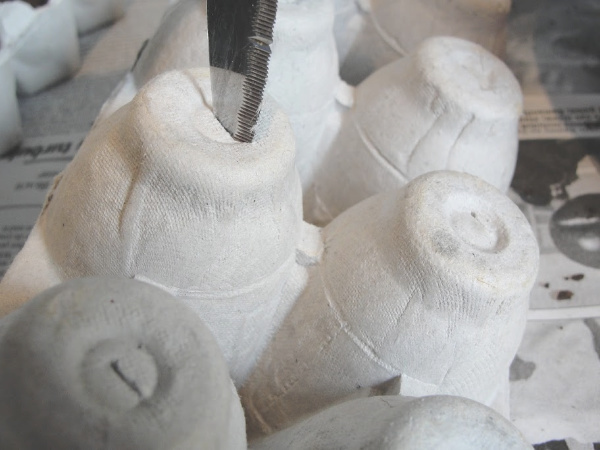 Wrap a piece of plastic wrap, loosely over the container and place the egg cartons in a spot that is warm and has indirect sunlight. 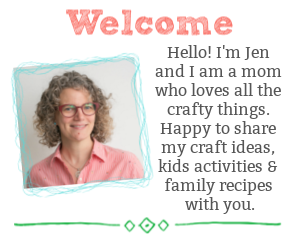 Water the egg cartons every day. When the seedlings start to grow you can remove the plastic wrap. Hot Tip: when opening your seed packet, cut it open at the bottom of the packet – the most important information is written at the top of the packet and you will want to keep that info for future reference. Hot Tip 2: seeds can be stored for next years crop – however in general they need to be kept dry and cool – we’ll be keeping ours stored in a ziploc bag in the garage, with our other gardening supplies. 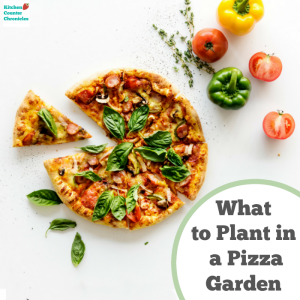 Let’s have some fun and plant a pizza garden! 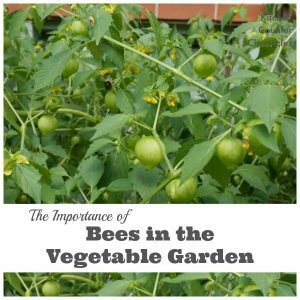 What should we plant in a bee garden? Find out all the plants that bees and butterflies love.